For Christmas, my son received a decorate-your-own train and it was a HUGE hit – I mean HUGE. We basically had to stop everything and paint the train. Right. Away. And since Santa and the Easter Bunny follow-up with each other, this 4-year old boy is definitely going to be getting the cousin of decorate-your-own train in his Easter basket: decorate-your-own race car. 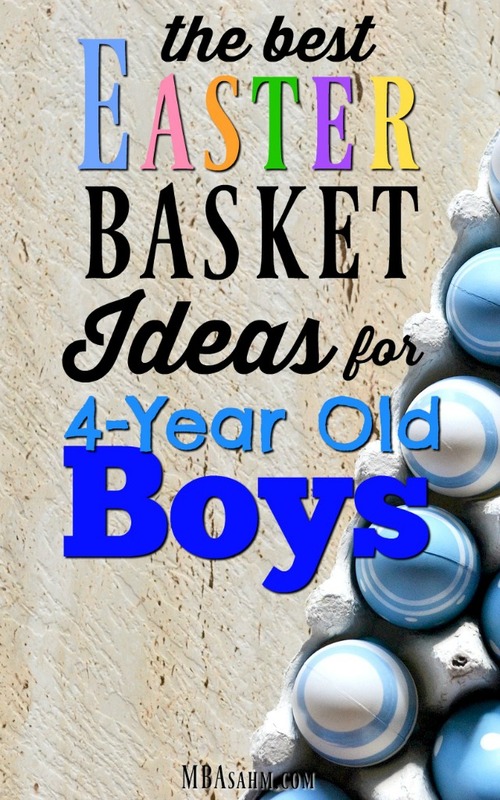 Of all the Easter basket ideas for 4-year old boys, Easter books are definitely the best! I’m so excited about adding them to my son’s Easter basket that I created a full post with a list of the best (you can see it here → The Best Easter Books for 4-Year Old Boys). My son LOVES reading books and is starting to learn how to read and write, so these are a no-brainer. He’s still obsessed with trains and a close second is dinosaurs, so they will both be making an appearance in this year’s Easter basket! For years I tried putting sunglasses on my son, but to no avail. He just would not wear them! Now? Apparently, they’re the coolest thing ever! Sunglasses are another really fun Easter basket idea for 4-year old boys because they are a great way to welcome summer! I don’t know about you, but I am ALL about getting my 4-year old son outside as much as possible this year. So his Easter basket is going to be full of fun outdoor activities – like chalk! Chalk is a critical component of every 4-year old boy’s summer, so use this as an opportunity to fill up on it. Plus, it’s another great, inexpensive Easter basket idea! Let’s not forget the obvious here! Every 4-year old boy needs a ball in his life and if you’re anything like me, chances are that last year’s is in dismal shape. Kickballs are perfect for 4-year old boys. They can be used for any sporting purpose, but aren’t as hard as your average soccer, basketball, or football. 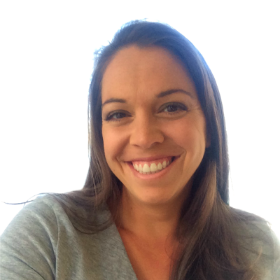 And just like with the chalk – they get your 4-year old boy outside! Every Easter basket needs some sort of eggs. And what are the best eggs for 4-year old boys? These dinosaur eggs are special and fun – your little boy will actually be able to chisel away at the egg to uncover the dinosaur inside. Another little bonus about this is that the pack comes with 12 eggs, so while you can certainly just pile them all in, you can also hold onto most of them to save for a rainy (or sunny!) day. I always try to include art supplies in any gift I’m giving to my kids, and Easter baskets are certainly no exception. At 4 years of age, these guys are already comfortable using crayons, markers, and if you’re a daredevil, paint, so it’s time for the next phase of arts and crafts – cutting! This set from Alex Toys is perfect because it not only comes with scissors that are appropriate for 4-year olds, it comes with the activities ready for them! This means fun for them, but no going crazy for you. I absolutely LOVE including shoes in Easter baskets and here’s why: you already have to buy them, so why not get some fun ones you know they’ll love and use it as a gift? Since summer is right around the corner, your 4-year old is going to need new shoes for summer anyways. Every year, without fail, I get each person in my family a pair of Crocs and a pair of Toms. For kids, the Crocs are critical! First off, they’ve got the funnest styles. Whatever you 4-year old boy is passionate about, you can bet Crocs have a style for him (and if you want these adorable Minion Crocs, you can get them here → Minion Crocs). Also, Crocs can get wet. That’s a big deal for a 4-year old boy! Toms on 4-year old boys are so freaking adorable! AND if your husband is up for it, they can get a pair that matches Dad. Nothing is cuter than that. P.S. While the most variety can undoubtedly be found on each respective website (Crocs here and Toms here), you can also get Crocs on Amazon, as well as Toms on Amazon! So if you’re an Amazon Prime kind of shopper, you’re in luck! 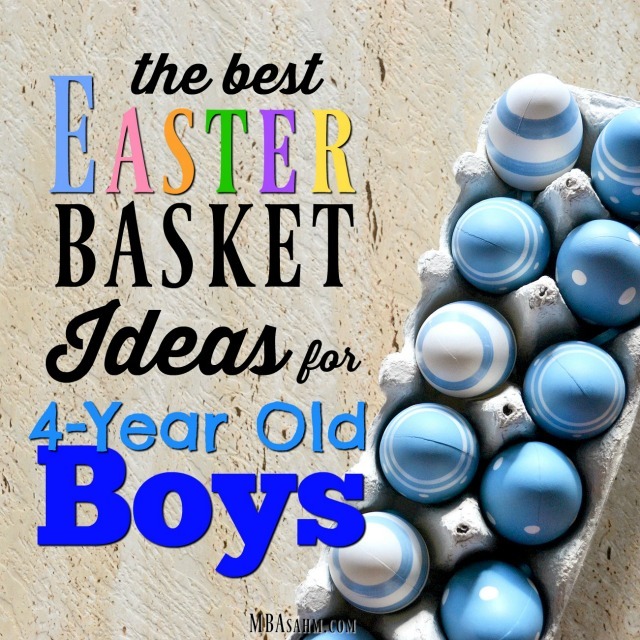 I really hope this list of Easter basket ideas for 4-year old boys proves to be helpful for you! Let me know if I’m forgetting anything. Great ideas Nikki. I love the Dinosaur eggs! I love this post, too. I have a new marketing graphic for Easter baskets that says “Fill their baskets with brain candy” which of course advertises the books I sell, but it’s the Way to go!